Montaditos are like tapa-sized sandwiches made with fresh, crunchy rolls, filled with delicious combinations of ingredients. 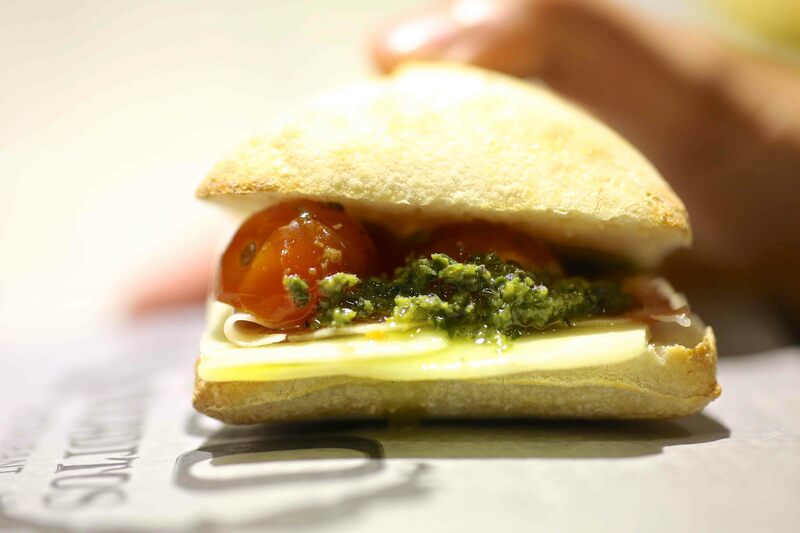 Venture over to the West Village and you’ll find 100 Montaditos at 176 Bleecker St, between Sullivan and MacDougal St. 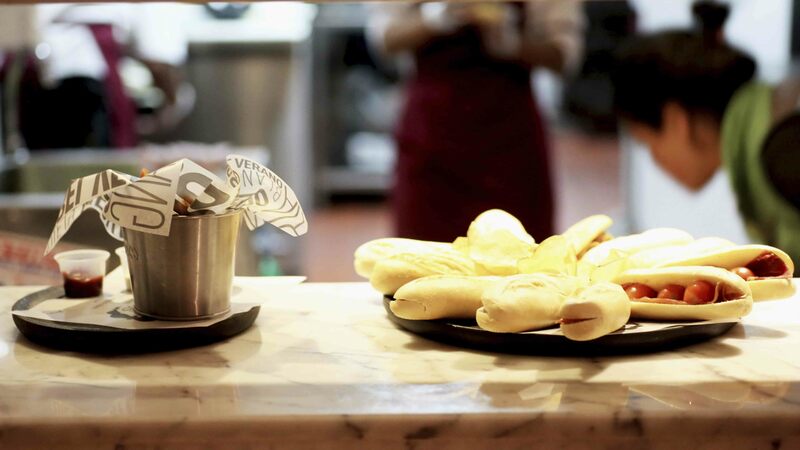 This Spanish restaurant offer a vast menu of 100 montaditos, each baked to order. You’ll ones packed with traditional ingredients like Serrano ham, chorizo sausage, Spanish tortilla and Manchego cheese, as well as other savory ones like salami, grilled chicken, meat balls, pulled BBQ pork, and philly steak. There’s also shrimp and smoked salmon. There are also vegetarian friendly items clearly marked on their menu. So many options! You’ll also find sweet, dessert montaditos made with chocolate bread. Enjoy it with chocolate spread and almonds or indulge in something a bit more intense like Dulce de leche and chocolate spread or heavy cream and Oreo cookies. Each sandwich goes for between $1 to $2.50. 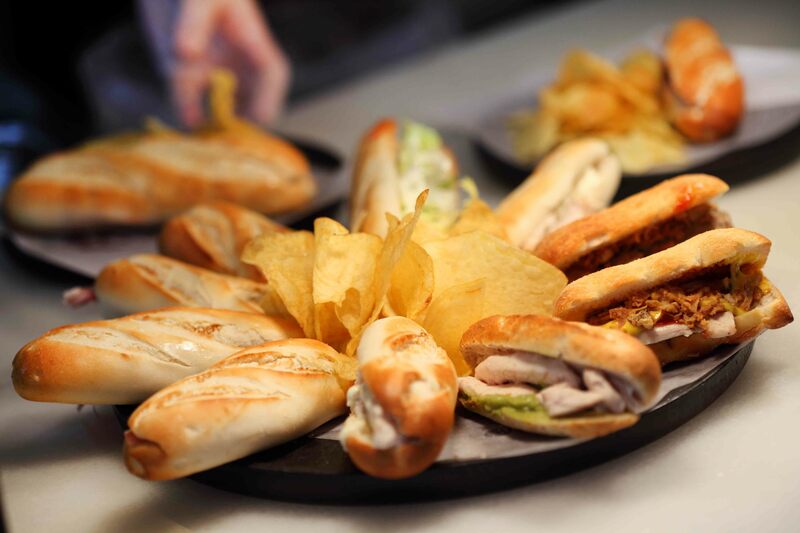 It’s the Academy Awards this Sunday night and there’s a few things going on at 100 Montaditos. Starting at 5pm, the restaurant will be serving their “Best Motion Pitcher” specials, named after their favorite nominees. Starting at 7:30pm, there’s going to be an Oscar-themed trivia night with five rounds, 10 questions each, and over a dozen chances to win cool prizes. Each “Best Motion Pitcher” comes with three montaditos, a personal pitcher of domestic beer or sangria and potatoes bravos for just $12. The American Hustle features Pull BBQ pork, crispy onion and chipotle ali oli; Hot dog, ketchup and mustard; and Philly cheese steak and cheddar cheese. The Captain Phillips features Smoked salmon and cream cheese; Shrimp, lettuce, Caesar dressing and parmesan; and Anchovies, fresh tomato, mayo and pepinillo. The Dallas Buyers Club features Pull BBQ Pork and cheddar cheese; Meatballs, bacon and marinara sauce; and Grilled chicken, bacon, tomato and olive oil. The Wolf of Wall Street features Olives appetizer; Pepito, brie cheese, garlic pork, piquillo pepper and arugula; and chicken, tomato, lettuce, mayo.